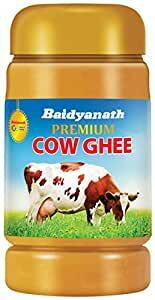 Baidyanath Premium Cow Ghee - 100% Pure Bengali Brown Ghee, healthy & nutritious for the entire family. 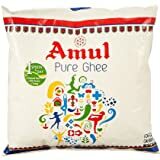 Baidyanath Ghee is processed from 100% pure milk and is ideal as a cooking medium. Safe, natural & nutritious, it can be used for consumption, oleation and holy purposes. No artificial flavours or preservatives added. THIS IS VERY BAD IN TASTE AND COLOUR IS SO BAD. IT IS SMELLING LIKE A ROTTEN EGG. I WISH IF I COULD CHANGE IT. 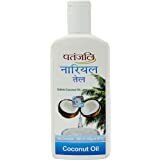 I WILL NEVER RECOMMEND THIS PRODUCT TO ANYONE ! 1.0 out of 5 starsnot pure its vanaspati..
1.0 out of 5 starsHorrible. Tasted weird and horrible. Couldn't even finish it. Packing on Display and Supplied are totally different. 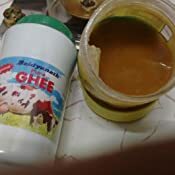 Color of the Ghee is dark Brown , doubt as to what it is.